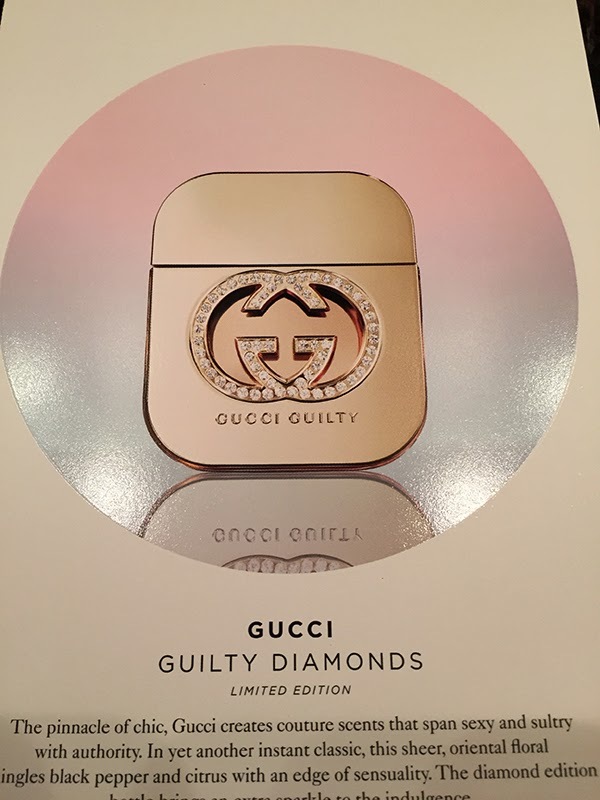 THE SKINNY: Proving that you can’t judge a fragrance by its name, Gucci Guilty Diamonds is a medium-bodied spicy powdery scent that’s not too floral interesting enough to make me take notice. Do I love it? No. But I was surprised that I like it. The notes are lilac, cardamom and pink pepper (How a colored pepper is supposed to smell, I don’t know). The pink pepper adds the spice that I like in the scent and tones down the floral notes. KEEP OR TOSS: This one is a toss up for me. I like the scent but I don’t know that I would wear it every day. CHECK IT OUT: The Gucci Guilty Diamond bottle comes with a sparkly “G,” of course.